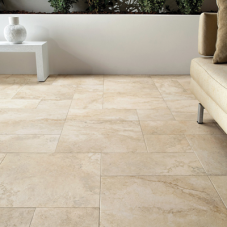 Monocibec, one of the most innovative ceramic and porcelain tile manufacturers in existence, offers time-tested tile flooring for the messy, the clumsy, and the lazy who still want a decent amount of beauty and resale value within their homes. As porcelain tile is the least expensive flooring over the life of a building, with Monocibec you will never again need to pay for expensive carpet cleanings or hardwood sanding jobs from that dubious business sandwiched between a massage parlor and a “novelty” store. Surely your drooling St. Bernard won’t be respectful of a hardwood floor—but hey, unless his name is Cujo, he’s not doing this intentionally—and while your bile green carpet in your powder room hides all sorts of unmentionable stains pretty well, it still looks like it was beaten with an ugly stick and certainly has to go. And let’s be honest; carpet anywhere near a bathroom, no matter what color, is just gross. Sure, cleaning grout is a pain, but it’s much less of a hassle than blinding yourself by staring at ugly, VOC-laden carpet all day long. So, before we make fun of you even more for your unsightly flooring that belongs in a seasonal haunted house, take a look at our Monocibec collections. Utilizing high-definition imaging technology, Monocibec’s porcelain products emulate natural stones with more accuracy than Captain Hindsight predicted the failure of Deepwater Horizon. Impermeable to moisture, resistant to harsh chemicals, and unaffected by freeze-thaw cycles, Monocibec products will work wonders in residential, commercial, and even outdoor applications. 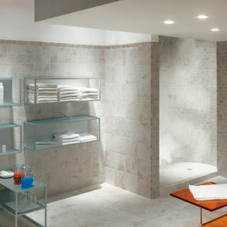 Torrential downpours, a new ice age, or asteroids are no match for Monocibec porcelain tile. 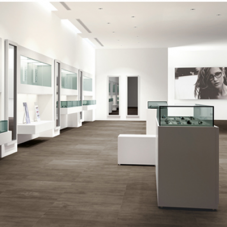 As Monocibec porcelain is widely considered the Chuck Norris of the flooring world, it will buy you before you even have the chance to make a decision. So you might as well give in; your fate has already been determined.